Got a special apple? Shacksbury Cider wants to know. Colin Davis could spend most of his time wandering around looking for apple trees. Davis is cofounder of Shacksbury Cider, a small company based in Shoreham, Vt. Like many Vermonters, he thinks a lot about what he eats and drinks. He talks enthusiastically about his friends in the cheese business. He and his wife own a small herd of beef cattle. So when Davis decided to go into cider in 2013, there was no question he was going to use the best fruit he could find. That wandering is part of Shacksbury’s Lost Apple Project, which seeks to rediscover species native to Vermont. There’s a database on Shacksbury’s website where residents are encouraged to point out trees of interest near where they live. Davis will investigate, driving around for hours, sometimes tasting hundreds of apples in a day. He estimates that around 30 percent are worth picking. A small fraction are truly special. Davis and cofounder David Dolginow go through this work because most of our eating apples don’t make particularly good or interesting cider. Shacksbury uses only apples from Vermont and a couple of farms in Spain and England. Last year, the company produced around 8,000 cases. Because the fruit is the star, Shacksbury does very little on the back end, fermenting with native, wild yeast and then leaving the liquid alone. Davis is obsessed with terroir, just like a winemaker; his final product can be a cider that’s the result of blending or of apples from a single origin. 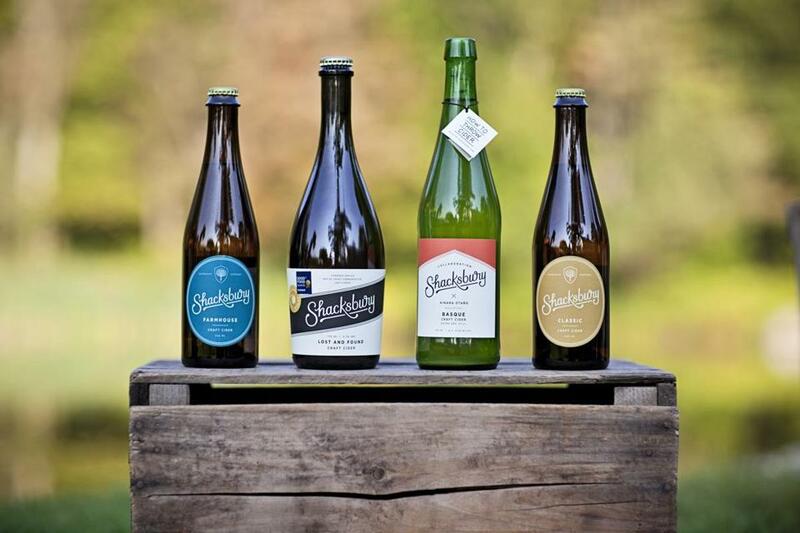 Shacksbury’s ciders are dry, but Davis chafes at the simplicity of that term. Farmhouse, for example, is sparkling and light-bodied, with characteristics of a saison or rosé. Classic is dry but fuller, bold and earthy. Pet Nat has no residual sugar, but has what Davis describes as “fruit sweetness that comes across mostly in the nose.” That cider is made from 70 percent foraged apples of hundreds of unknown varieties, as well as apples like Jonagold, Wickson, and Esopus Spitzenburg. Close your eyes and you think you’re drinking sparkling wine, albeit one with subtle baking spices like cinnamon and clove. Of the thousands of apples the Shacksbury crew has tried, they’ve chosen to propagate 10, grafting the bark onto trees in the hopes of producing future crops. Because the fruit was overripe the day he harvested it, Davis has yet to make a cider with that magical apple he smelled from a football field away. Someday, he hopes to.